This little gnome has a spot for all your wishes and dreams! 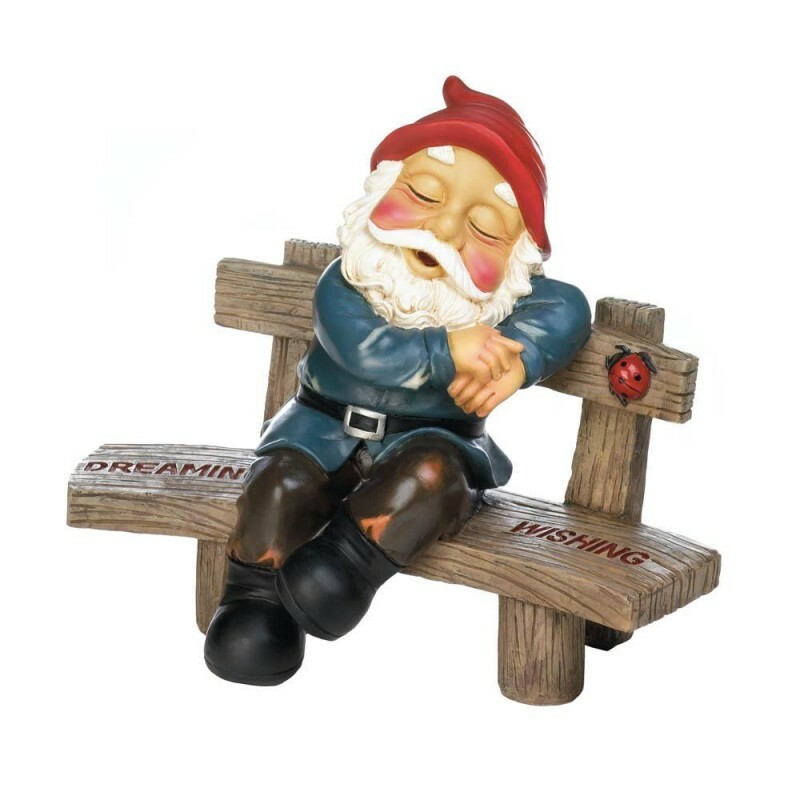 Add a little sweet dreaming to your yard or garden with this gnome statue that features a sleepy gnome resting on a bench that has the words dreaming and wishing on it. There’s even a little lady bug on the bench! 12.5" x 7.38" x 9.25". Polyresin.